Here is what happened to Judy's brother, truck driver in Indiana, in November 2008. We got the story from the website of the TV station WANE in Fort Wayne, Indiana. HUNTINGTON COUNTY, Ind. 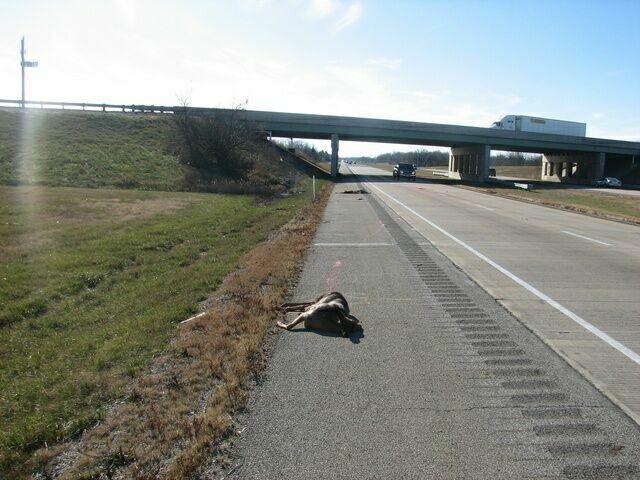 (WANE) - 5 deer jumped off an overpass Friday and right onto I-69. One of them jumped onto a semi. 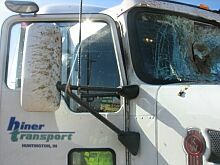 In the picture below, you see a look at that semi after it got hit by the deer. It went through the windshield before falling off onto the interstate. 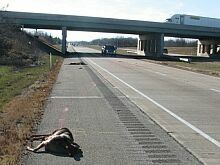 The driver, Kenneth Washburn, was northbound when he saw five deer jump off the overpass at U.S. 224. 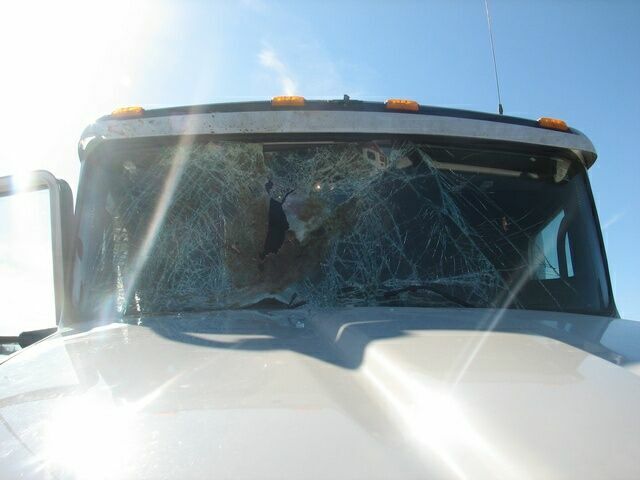 Washburn told police the deer made the jump one by one, and the fall killed each of them. Washburn is okay. He just had some minor injuries and was treated at the scene.